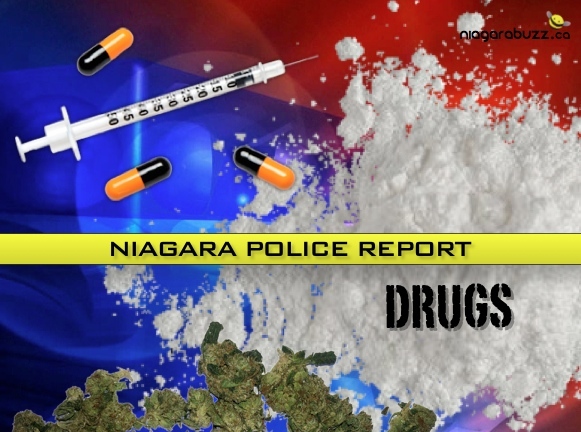 Police say that since the summer of 2017 members of the 1 District Street Crime Unit have been investigating a male and female regarding their involvement in the sales of Heroin and Crystal Methamphetamine in the City of St.Catharines. During the course of the investigation, police made observations that were consistent with individuals who were operating a drug trafficking operation. On September 6th 2017, Police arrested these two individuals for Possession for the Purpose of Trafficking. Arrested and charged was 37 year old Paul MORI of St.Catharines. In total Police seized a quantity of suspected Crystal Methamphetamine, Heroin, Cocaine, Oxycodone and MDMA which held an estimated street value of $13,000. Both parties are being held for their morning bail hearing which is scheduled for September 6th 2017.